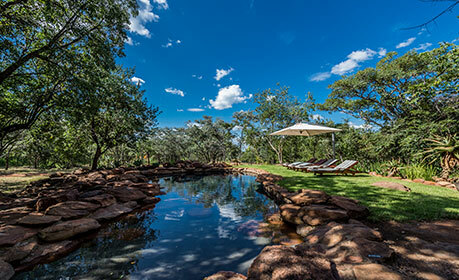 Nestled in the Waterberg mountains and within the Welgevonden Private Game Reserve, one of South Africa’s Premier, Malaria Free, Big 5 Game Reserves, Sekala offers an experience to be savoured. Guests look forward to uninterrupted early morning sun rise vista off the main deck, while having a coffee to awaken the senses. Heaven on earth! A weekend at Sekala is like a breath of fresh air, literally and figuratively. Expect to come away refreshed and invigorated. 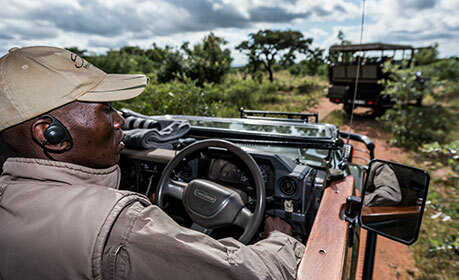 Enjoy two game drives a day with your own private game ranger. The reserve is home to the Big Five (Lion, Elephant, Buffalo, Leopard & Rhino) as well as Cheetah, Brown Hyena, 15 different types of buck, and more than 25 other species of mammal so you’re guaranteed an exceptional game drive experience. Sekala Lodge consists of a spacious Main lodge including lounges, bar area, dining room and outside entertainment area and a conference centre for business meetings. Accommodation includes five spacious en-suite chalets accommodating 10 adults sharing and an executive family suite (4 persons) available on request for a private family experience. 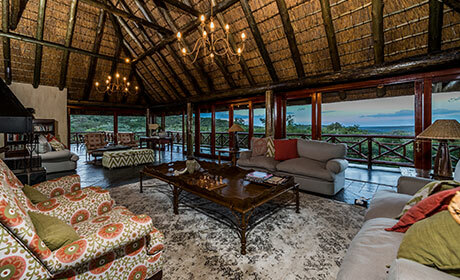 Sekala offers full board, breakfast, lunch and dinner including a welcoming drink and sundower drinks on the afternoon game drive. A cash bar is available for other drinks. All meals will be prepared by our resident chef and will include a boma dinner under the african sky, of course weather permitting.